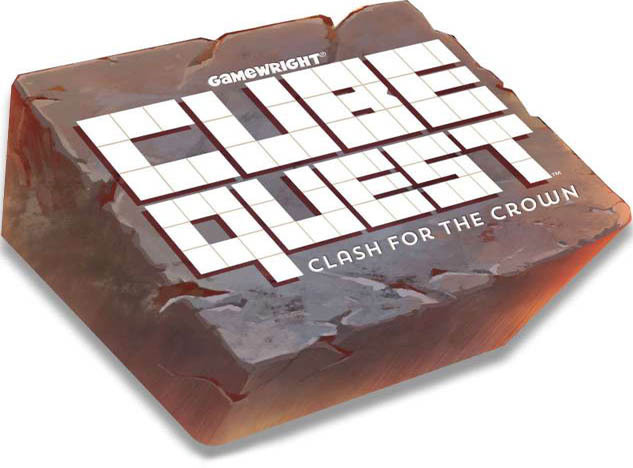 Cube Quest is a dexterity game in which lightweight hollow cubic dice are flicked across custom rubber mats. Cubes that leave the mats are defeated. Play alternates until someone wins by defeating the enemy king. Cubes also risk defeat in enemy territory; if they land "shadow" side up, they have been captured and must be rolled, like dice, to determine whether they escape. 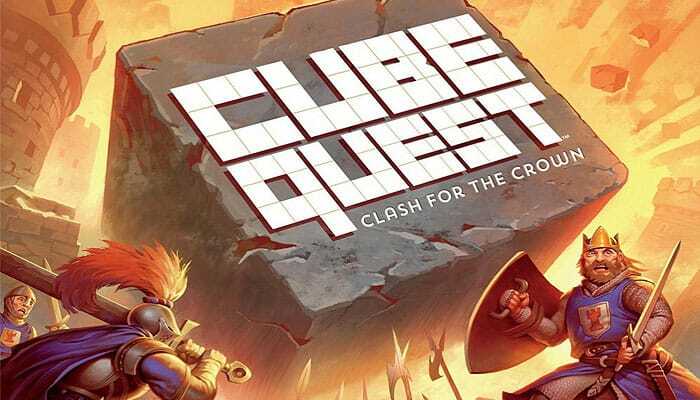 The cubes have different strengths and special abilities, such as taking extra flicks, immobilizing enemy cubes, reviving lost cubes, and hiding before strategic re-positioning. The game allows for custom army building using a simple point system. Pre-battle setup involves a tactical selection of cubes worth a total of 40 points maximum to fight alongside their king. Each player also chooses how to position their cubes, creating individual attack and defense formations and structures! Be the first player to defeat your opponent's King by knocking it off the board. The following are details about each individual type of cube. Experiment with the different abilities and discover your favorite tactics as you develop your own style of play. Cost: 0 | Captured sides: 0. Your King must start the game in your castle. It can never be captured. You may flick your King but be careful! If it leaves the board, you lose the game.